I know it is sometimes difficult to find “Made in USA”. This is a reality of economics. So, I try (character limit) to make USA-made items searchable by putting “USA” in listing titles. “These measurements come from official sizing standards once maintained by the National Bureau of Standards (now the National Institute of Standards and Technology) and taken over in recent years by the American Society of Testing and Materials. Data visualizer Max Galka recently unearthed them for a blog post on America’s obesity epidemic. 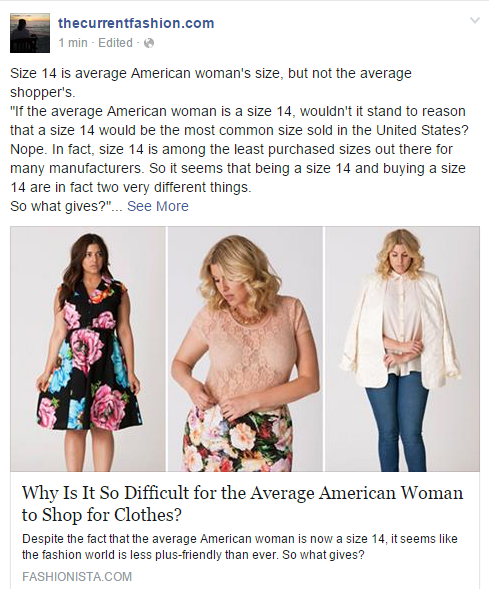 Size 14 is average American woman’s size, but not the average shopper’s. “If the average American woman is a size 14, wouldn’t it stand to reason that a size 14 would be the most common size sold in the United States? Nope. In fact, size 14 is among the least purchased sizes out there for many manufacturers. So it seems that being a size 14 and buying a size 14 are in fact two very different things. Size 14 http://thecurrentfashion.com?_dmd=2&_nkw=14 at #TheCurrentFashion.